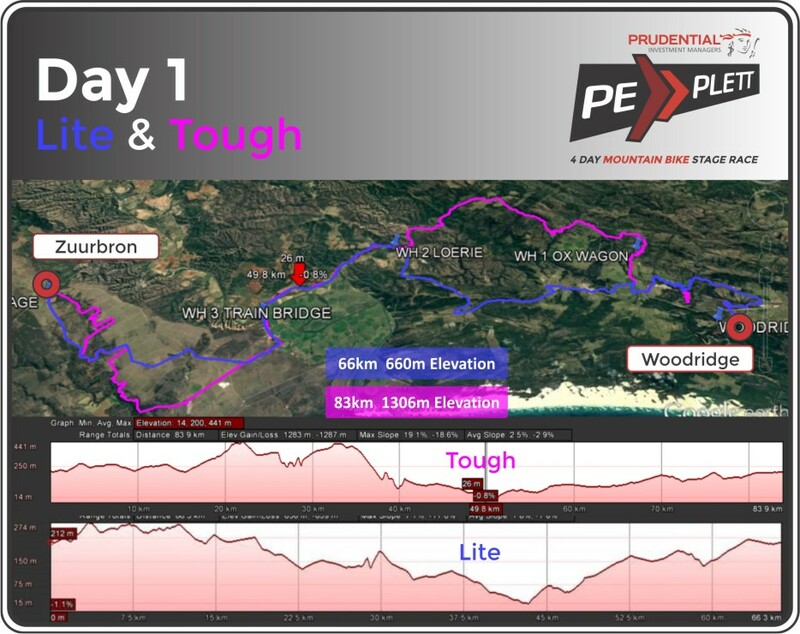 You could not ask for a more beautiful start venue for the 7th staging of Prudential PE PLETT than Woodridge School, the gateway to some of the finest single track. 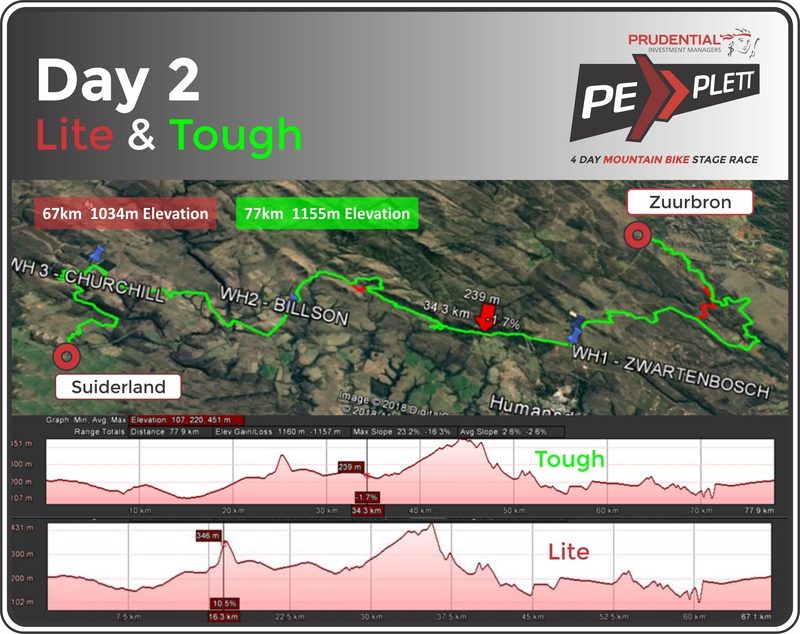 The journey to Zuurbron will see the LITE and TOUGH routes split right after the start. 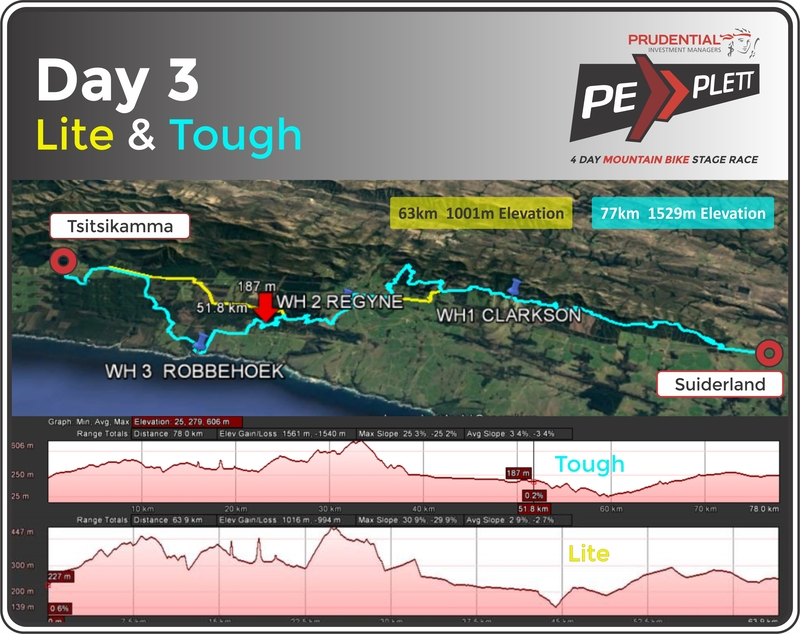 The TOUGH will tackle the Van Stadens Gorge whilst the LITE go straight into 3 Rivers Bike Park. It’s a day of awesome Longmore Forests, The Gamtoos Valley and the towns of Thornhill and Hankey before finishing the day off whilst traversing the Zuurbron Bike Park. Zuurbron is our signature village of Prudential PE PLETT as the decorated farm shed caters for the masses and the bike wash, hot showers, free beer & wine AND an awesome village vibe round off a great Day 1. 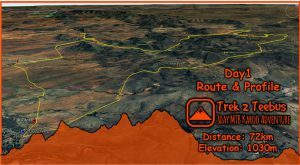 Another new day as we head out through the Bike Park and follow the Transbaviaans route all the way into Humansdorp and then into the tough tracks of Helgat where the LITE and TOUGH split. 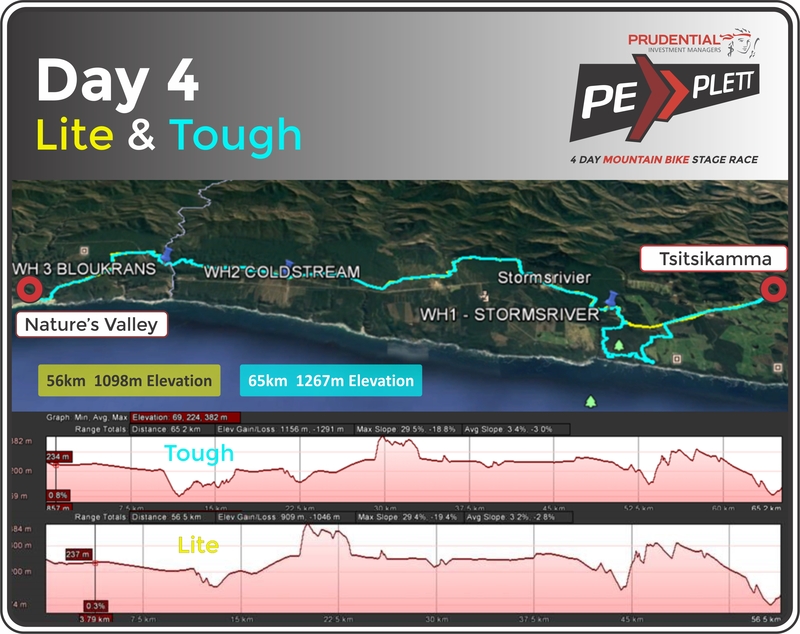 This is a forest day in the Tsitsikamma combined with the “50 shades of Green” as both TOUGH and LITE riders embark on a roller coaster ride through countless dairy farms and finally arrive at Suiderland. It’s a new village with great amenities which everyone is going to love. Departing Suiderland we are into a short single track forest ride past Oudebosch Farm stall and into the popular Regyne Protea Farm. From here the LITE and TOUGH riders split as we take the TOUGH One all the way down to the coast of Robbehoek and the LITE riders go North of the N2 into the Wolf Sanctuary and join up with the LITE some 12km’s from the end. Here it is Cape Pine Forestry all the way home. A wonderful opportunity to Zipline the gorge in the afternoon is on offer. Day 4 and the home run to beautiful finish line at Natures Valley. Its an early morning split for the TOUGH and LITE and they join up just before the Storms River Pass. From here on its into SanParks and the Witteklip and all the way down the beautiful Bloukrans Pass and into the settlement of Covey. From here on the views will blow you away as you plummet down Pig’s Head onto the beach at Nature’s Valley and head for the finish line. 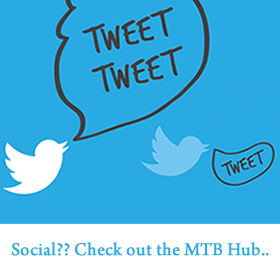 It’s a 4-day Roller Coaster ride of the most varied and diverse mountain biking one could wish for and is an Adventure of note …. One not to be missed !! !